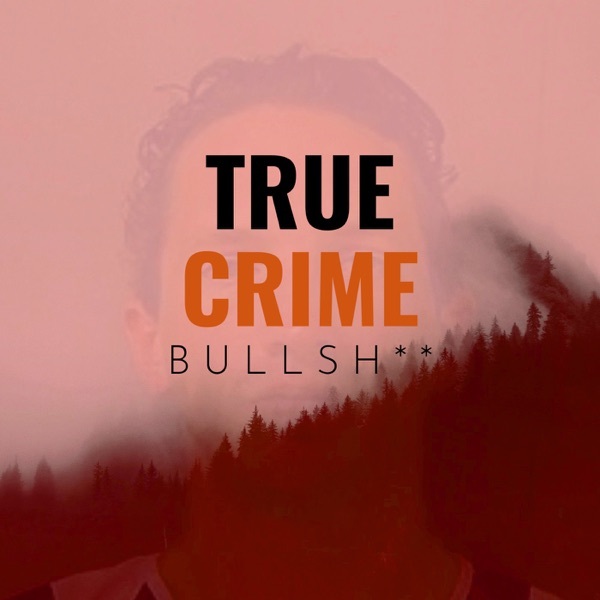 True Crime Bullsh** is a serialized, investigative podcast exploring meticulous and enigmatic serial killer Israel Keyes. Join me on this strange, terrifying, and emotional journey, as I attempt to find the missing, understand a killer, explore the impacts of crime, and reconcile with those left behind. Israel Keyes is considered one of the most meticulous serial killers in American history. He had a fetish for missing people, and to this date, only one of his victims' remains have been located. This is your introduction to Israel and the journey True Crime Bullsh** will take us on. On March 13, 2012, Israel Keyes was arrested for the abduction of Samantha Koenig. What happened to Samantha Koenig? After Israel's arrest, he tells the FBI. Israel tells the FBI about a disturbing double homicide; and Josh struggles with the ethics of true crime. We explore Israel's adolescence, family, religious background, military career, and early criminal activity. We also examine Nature vs. Nurture and how both contributed to Israel's criminal pathology. Israel finds himself living a double life. And he begins making plans: for his life, for his career, and for his first three homicides. Special thanks to Shaun Gurd from the Unconcluded podcast for audio clips. There's only one unsolved couple disappearance that matches Israel's description of his Washington double homicide. Special thanks to Steven Pappas from the Is This Adulting? podcast for voice work. Israel juggles his dual lives, as his family life falls into turmoil; and he tests new tools and practices for murder. Discrepancies in his statements arise. And Josh and Katherine land on a new theory about Israel's victims. In this episode, we spend a lot of time in the woods. Plus, Israel meets someone new; and learns to adapt and evolve his methodologies. The FBI builds a geographic timeline for Israel Keyes, and starts deep diving his computer. Meanwhile, Israel moves to Alaska and has to recalibrate his methodology once again. True Crime Bullsh** will return with the second half of the season on March 14. An incredibly revealing trip is examined, and a pattern emerges. What happened to The Curriers' remains? And what was Israel Keyes doing in Indiana? When the stakes are life and death, what would you do to stay alive? Would you wade through snake-infested water? Cut off your own arm? Drink your own urine? SURVIVAL explores the human spirit’s ability to triumph over deadly adversity and examines the lasting psychological effects of living through a traumatic event. This is the first part of the first Survival episode. To hear the remainder of this episode, search for and subscribe to Survival wherever you listen to podcasts or visit Parcast.com/SURVIVAL to start listening now. We look into the Lauren Spierer disappearance and links to Keyes. And the FBI comes up with a plan to manage Vermont and get Keyes talking. While True Crime Bullsh** is on its regularly scheduled week off, Charlie Worroll (of Crimelines and Rusty Hinges) and I decided to sit down and answer some listener questions about the podcast, the case, myself, and Israel Keyes. Israel goes quiet, and the FBI investigate his research into other serial killers. Plus, a strange trip leads to a possible victim. And a man from Israel's past comes to the forefront. The FBI turns to Israel's old Army friends to get a better understanding of him, revealing some shocking information about Keyes. Then Keyes heads to Texas, where he completely loses control. Music by Keaton Henson, William Hellfire, Radial Face, Sergey Cheremisinov, Kevin MacLeod, Utopia Ohio, and Santigold.